How much does it cost to see, say, Les Miserables ? The most recent press release I have – from earlier this month (May) – clearly states £15-£80 which is, in all honesty, not that bad. Sure, £80 is a lot of money. But £15 isn’t, and £160 for two good tickets is probably within the means of most people who really want it. So why not book two of the best seats in the house on a Saturday night. Availability is limited but it’s not sold out. Two seats in row F of the stall comes to… £345.50. Hmmn. A 2013 investigation by The Stage noted that the most expensive tickets available in the West End were then £127, for The Book of Mormon  and Helen Mirren vehicle The Audience. These were, broadly speaking, seen as outliers: a hugely acclaimed musical with a business model based on charging high prices in a smallish theatre, and a big celebrity vehicle with a limited run. Breaching the £100 barrier was still a novelty. Five years on, and many West End shows vaulted that barrier twice over. The top Phantom of the Opera  price is £175. The Lion King  is £200.25. The Book of Mormon is £202.25 (a 60% hike since 2013). Hamilton  comes in at an astounding £250. And the maximum you’ll pay for Harry Potter and the Cursed Child  is a staggering £290 (albeit for both parts). In the last few years, the top price of popular shows has gone up exponentially, and producers have been – I would suggest – wilfully opaque about this. The principal vehicle for these price hikes is the ‘premium ticket’, that faintly bewildering US innovation where the upper pricing tiers are simply reclassified as ‘premium’ as if that somehow makes them an understood breed apart to the ‘official’ prices. When they were first introduced, the additional cost tended to be £10-£20 or so. Now they’re routinely much more than that: a top-price premium ticket to Hamilton is £150 more than the £100 top ‘normal’ stalls cost. There has been very, very little comment over this; certainly no headlines about the West End doubling in price in a decade – which at the top end, it has. Part of the reason it’s barely been commented on is, surely, that shows have kept very quiet about it. When I started at Time Out as a listings monkey, press releases would clearly tell you the exact price range of a show and this information would generally be clearly stated on a show’s website. Now it’s almost always buried away somewhere. Even at not-for-profit theatres this can apply: the imminent Old Vic revival of Simon Stephens’s Sea Wall was officially billed as £10-£40 – the real top price for the half-hour play is in fact a whopping £80. Nothing illegal is taking place here. Bottom prices remain low. All shows that sell premium tickets state that they do so, even if they’re coy about cost. 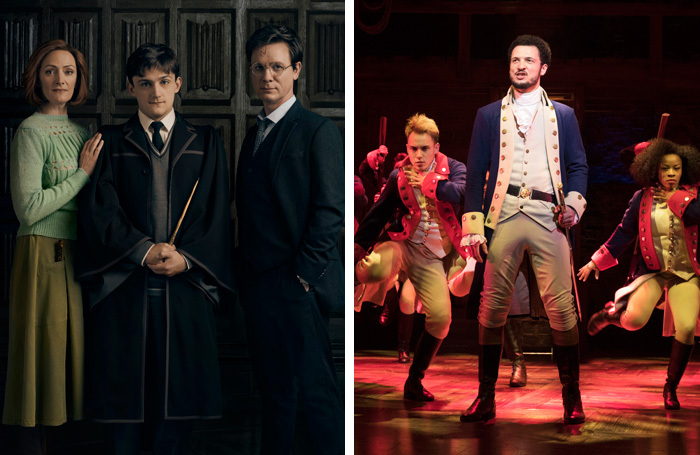 Premiums tend to be dynamically priced and are barely a thing if a show isn’t selling out – so you might argue they’re simply a sign that Theatreland is in rude health. Russian company Maly Theatre’s recent Life and Fate also topped out at the Hamilton price of £250 – presumably because it had been calculated that a wealthy ex-pat Russian audience was happy to pay this. Ultimately producers can charge what they want and if the public wants to fork out then who can argue. Nonetheless, the fact it has become so complicated to find out the top price of a show – and that at the same time the top prices of shows have unprecedentedly surged – is suggestive of something the industry would like to keep quiet to avoid bad PR. The age of the £200 West End theatre ticket has dawned, and we barely saw it coming.